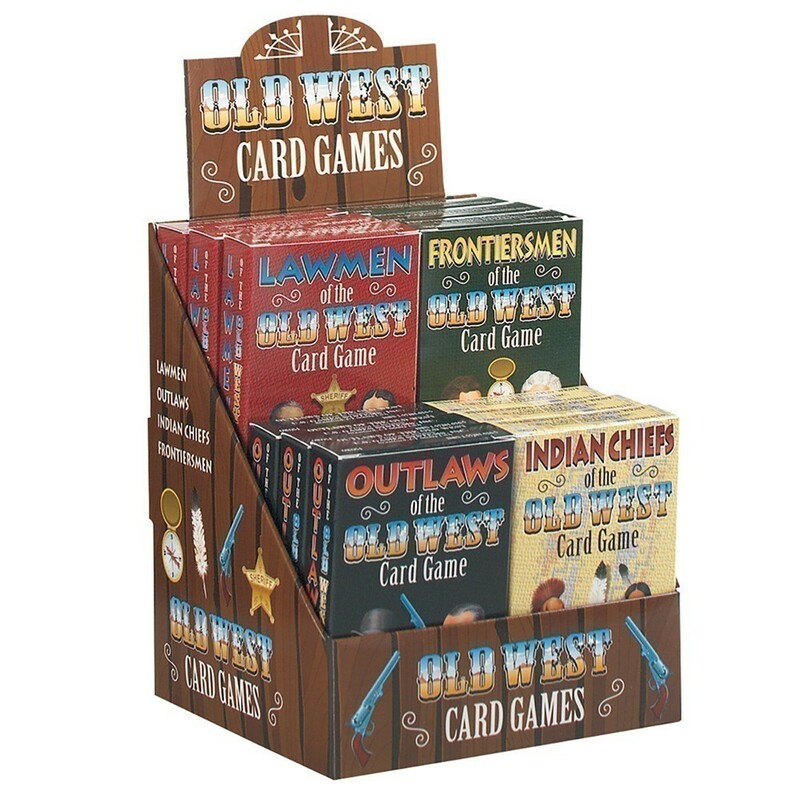 Featuring 3 decks of Old West Series Card Games -- Indian Chiefs, Frontiersmen, Outlaws. and Lawmen. All single decks contain 54 cards.